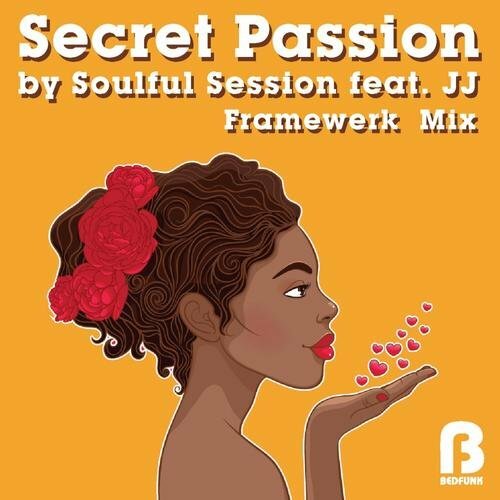 Bedfunk are proud to bring you the Framewerk remix of Secret Passion. This duo has been making a name for themselves with their distinctive mix of Deep House and Nu Disco, with recent tracks and remixes gaining chart success in the top 100 on Beatport, and a number 1 in their Nu Disco category on labels such as Sleazy Deep and their own Capital Heaven Digital imprint. Framewerk have given Secret Passion a stunning rework, giving the track a contemporary feel, with effected vocals and a low-slung bass line. Changing the dynamics of the track, they have given it a laid back feel with an atmospheric twist, clever drum programming and delicate synth washes finish off this top production. We are pleased to have enlisted their talents for this release.